BSA stands for Boy Scouts of America. Any person, who might be interested in enrolling into BSA or continuing in it, is required to undergo a health check-up that would test him on various parameters before deeming him fit for the group. The authoritative person responsible for conducting this test uses a Health Forms for the purpose. Since the form spells out all the important parameters against which the applicant has to be tested it simplifies the task of the examiner. 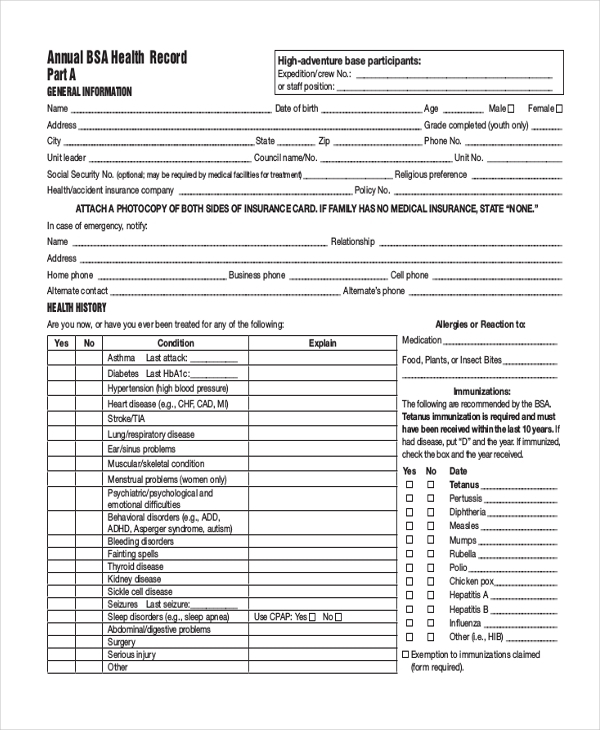 This form is used by the BSA authorities to conduct a medical and health examination of an applicant or an existing scout to ensure that he is fit to be part of the group. 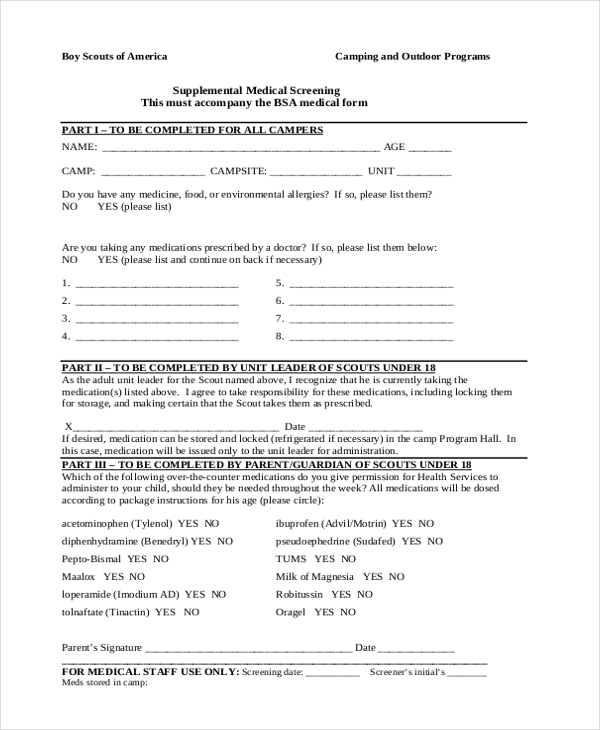 When a minor enrolls into BSA, his parents or guardians are required to fill in this health form with all the relevant details of the child’s health and emergency contacts. The form also acts as a consent form. 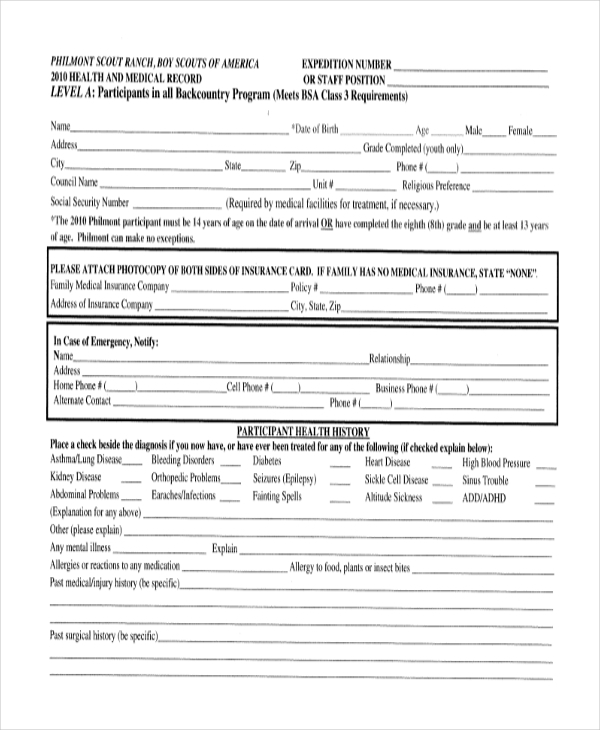 This health screening form is used by BSA authorities to screen the health of the applicants interested in enrolling into the group. They may also use this form to conduct timely health checks on the scouts. Before embarking on a high adventure task with its scouts, BSA expects all members to undergo a medical examination to ensure that they are fit enough for these tasks. The aforesaid form is used to record the results of the examination. Comprising of a number of parameters against which a BSA applicant or scout should be checked, this form can be used to conduct an efficient health check before enrolling or heading off for an adventure. 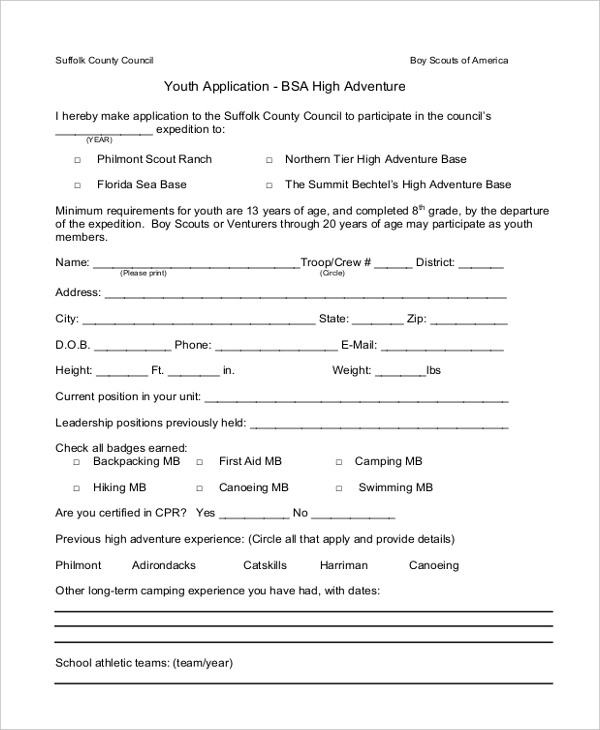 This is a form that is used by the Philmont branch of BSA. It comprises of various important segments that make for an effective health check. The users can customize this form as per their needs. Every scout enrolled into the BSA is required to undergo a medical examination every year to ensure that he is in good health. This scout health form is to make the whole procedure easier. What are the Benefits of Using BSA Health Forms? How to Design BSA Health Forms? 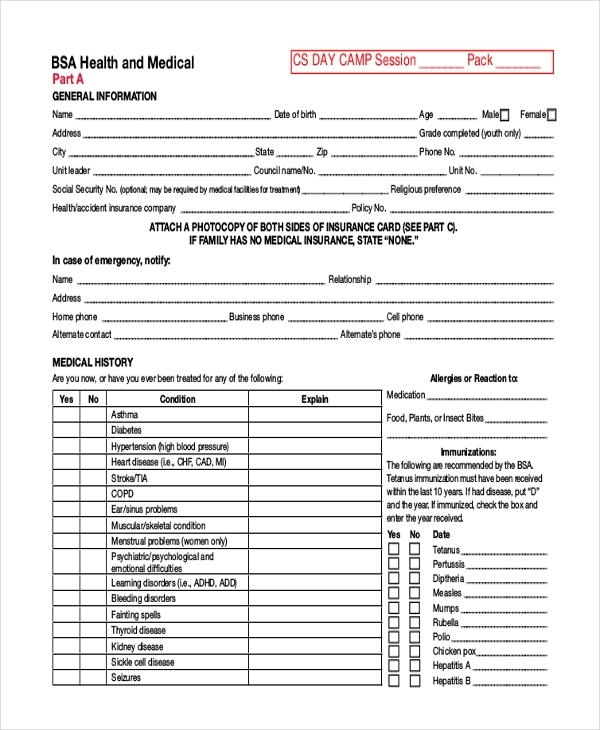 Make sure to add a segment wherein the emergency contact numbers can be added You may also see Health History Forms. If you have been thinking of designing a BSA health form for your scout group, take a look at the wide range of forms that we have offered. You are sure to find one that would be perfect for you. 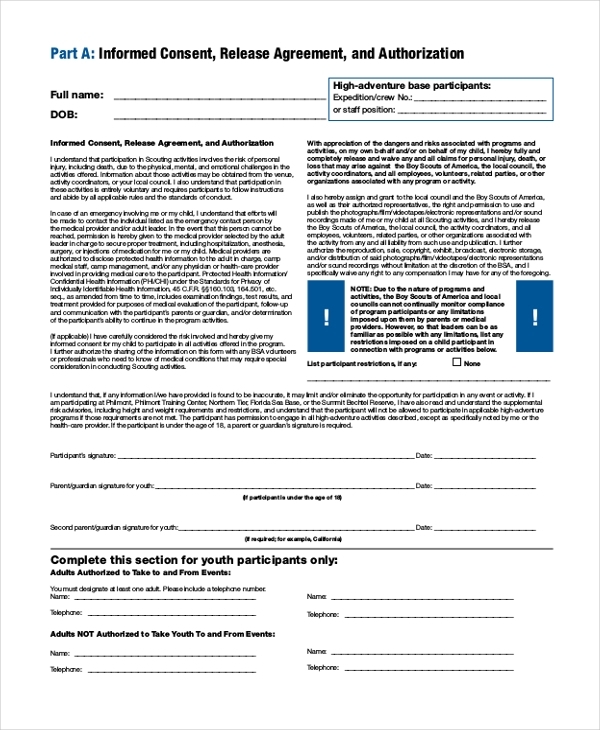 These forms can be easily downloaded and customized and will save you a lot of time. You can also see Health Insurance Forms.